The Scoop6 is a totepool bet which runs each Saturday on six selected races, usually ones that are being shown live on Channel 4. It costs £2 to play and the aim is to pick the winner of all six races. The Scoop6 pool is split into three separate funds – the win fund, the bonus fund and the place fund. 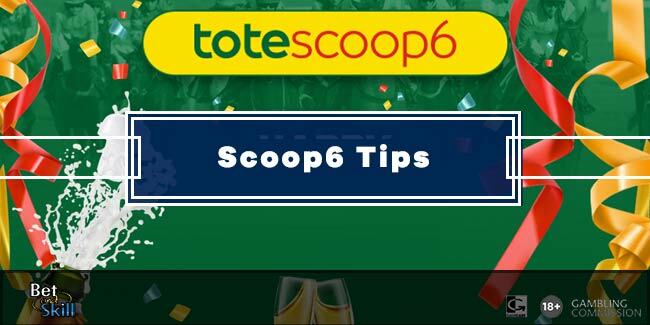 Scoop6 is one of the most innovative ways to get involved in horse racing betting these days and can make you some serious money. It’s cheap to play and is much like playing the National Lottery, only with a better chance of winning. It involves skill and a knowledge of the sport, and if you have that, well there’s every chance of a win! 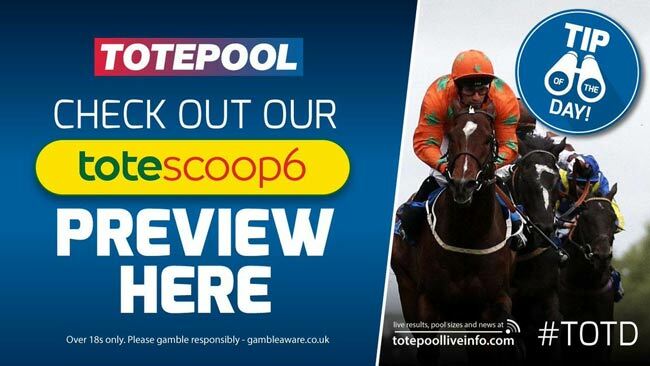 We love Scoop6 here at Bet & Skill and bring you the very best Tote Scoop6 predictions each and every week. Below you’ll find Scoop6 explained, along with today’s Scoop6 races and what you should be playing. So, what are you waiting for? Each week we get our horse racing experts to select our Scoop6 predictions to give you the very best chance of scooping yourself a jackpot. You’ll find our tips below and if you want to know about how to place Tote Scoop Six bets then you’ll find everything you need to further down the page. Open a new account with Betfred here! Scoop6 is one of the most exciting pool bets in sports betting and can be played each and every week. Played every Saturday, the aim of the game is to select all six winners from six races, a little similar to Sky Bet’s Super 6, and if you’re successful you’ll win a share of the Scoop6 jackpot. It costs £2 to play each week and the prizes are regularly above £1million. The winning funds is split into three funds, the win fund, the bonus fund and the place fund. The bonus fund is an added bonus you can win the following Saturday if you win this Saturday’s Scoop6 races bet. All you have to do to win that is select a single winner on the following Saturday to unlock those bonus funds. All win fund winners can register to play for the bonus fund the following week. To win a share of the bonus fund, you'll need to pick the winner of the nominated bonus race as selected by totepool. 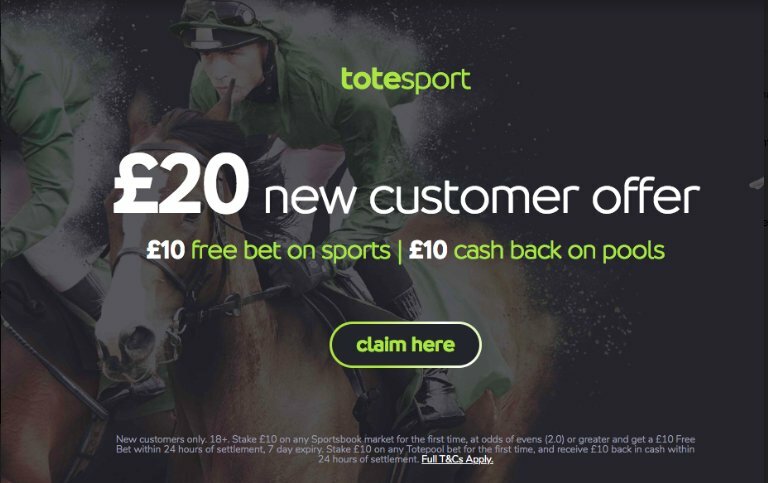 The races featured by Totepool in the Scoop6 are almost always featured on ITV Racing, so you can even enjoy watching your jackpot roll in on a Saturday afternoon. If nobody wins the jackpot or the bonus fund, then the totals are rolled over, just like the National Lottery, offering an even bigger prize as the weeks roll on. It’s well worth playing each and every week to be in with a chance to play for such high payouts, with very little needed to back your wager. Scoop6 is an easy offer to place and can be done at various online bookmakers. To play all you need to do is either follow our predictions by clicking ‘Bet’ on the races above, or head to a bookmaker allowing you to play Scoop6 online. From there you’ll find many of the major bookies offer a specific Scoop6 racecard, making it incredibly simple for you. All you need to do is check your selections and bet your £2 to be in with a chance of winning. You can only place your bets between a narrow window of around 9am on the Saturday through to around 1pm ahead of the first race. The time slots will be noted within the offer and varies between summer and winter. WHICH BOOKMAKERS OFFER SCOOP6 ? Below you’ll find all our favourite online bookmakers allowing you to play Scoop6, all well worth playing with. All the major players such as Betfred, Totesport and Ladbrokes allow you to play and you’ll find a full table of the participating Scoop6 bookmakers below. There are dozens of brilliant reasons to play Scoop6, the majority of which boiling down to one thing, it’s a cheap way to earn a massive payout. It’s well worth following our Scoop6 tips every week to give yourself the very best chance, particularly on rollover weeks where the winnings are huge. For the casual punter it’s a great way to learn the basics of horse racing betting as it’s ultimately like playing a large horse racing accumulator. You can then take that knowledge into the full Sportsbook and even cash in on a free bet or two. Grand National Betting: What Is And How To Play No Runner No Bet? Cheltenham Scoop6 predictions and tips. Copy & win the jackpot! "Scoop6 Tips & Predictions. Copy and Win!"